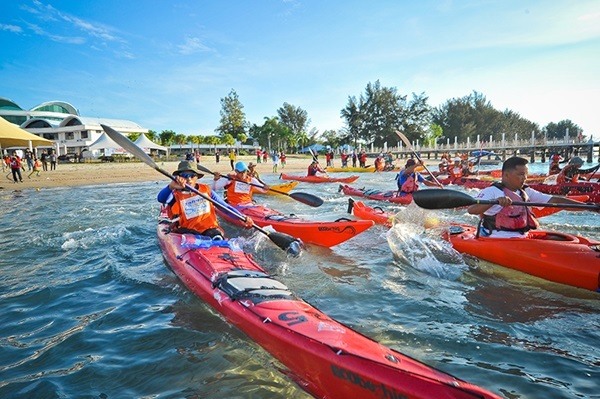 This water-splashing event is expected to attract at least 30,000 visitors to the island of Labuan this year. It features six main events with over 20 supporting games held throughout the one-week period. This year, the newly-introduced international extreme sport game of P1 Jetski Championship is one of the key attractions to the duty-free island. If you are a water sport enthusiast, then be sure not to miss this event. You can take part in fishing, round-island kayaking, cross-channel swimming activities and more. For visitors who wish to keep themselves dry, a variety of non-water sports games at the beach are scheduled as well such as beach tug-of-war competition, treasure hunt, beach volleyball tournament, sand castle competition, among others. The annual event, which started in 1997, has given Labuan a positive image internationally due to the international participation. The event has been listed in the BIMP-EAGA Equador Asia tourism calendar and annual national tourism calendar under the National Water Fiesta Celebration and Malaysia Water Fiesta. Information retrieve from Tourism Malaysia Website.